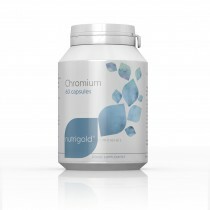 There are several nutrient forms of chromium that may be of importance in the daily diet. One of the more valuable is Glucose Tolerant Factor Chromium or GTF Chromium which has become a popular ingredient addition used in weight loss supplements and by athletes and bodybuilders. 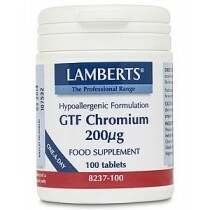 It has been suggested that the addition of GTF Chromium increases energy levels as well as suppresses ones appetite. It may be found as a single ingredient supplement or used in combination with other vitamins, minerals, and nutrients as an active ingredient. 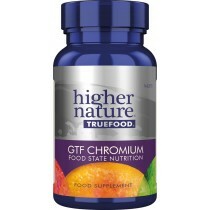 GTF Chromium is food based, natural, and organic. It has been shown that people who eat a poorly balanced diet that is high in refined as well as highly processed foods may have a higher than average need for chromium supplementation. A GTF Chromium deficiency in turn causes high cholesterol levels, weight gain, high blood pressure, and additional food cravings. The addition of chromium and vitamin B3 into the diet act as integral components of the metabolism, and determine the body’s ability to store carbohydrates, proteins, and fats. It is for this reason that a refined food and highly processed food diet is responsible for weigh gain as well as higher than normal levels of cholesterol. Some chromium supplements contain added caffeine and those who are sensitive to it should look for an alternative to avoid the irritability and nervousness it may cause. Look for a brand that is all natural in content. The average daily intake of chromium is estimated to be thirty to forty micrograms per day and it is recommended that fifty to two hundred micrograms of chromium be supplied per day according to International Recommended Daily Allowance. 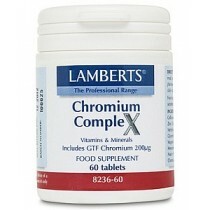 It is recommended that a chromium supplement is taken with meals as a full stomach will be less likely to become irritated. And organic forms of these supplements have been found to be far less likely to cause gastrointestinal disturbances than the inorganic variety. As a dietary addition approximately two percent of chromium supplement is absorbed into the body and the remaining amount is excreted in feces form. 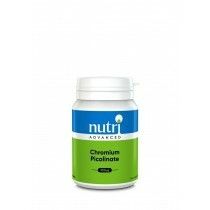 Vitamin C, niacin, and amino acids may help increase the intake of chromium through the intestines. It will then be stored in bone, spleen, and liver. The toxicity level of Chromium 3 is very low and even when taken in much higher levels than recommended has produced no generally adverse effects. Rats that had received one hundred micrograms per day per kilogram of body weight doses of chromium in their feed were observed to have no long term toxic effects. Bio Chromium contains a yeast bound form of chromium (a highly absorbable form), and should not be taken by those who have known allergies to yeast. 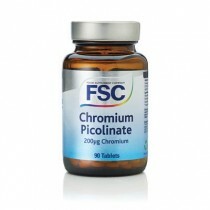 Chromium polynicotinate, in its natural form (not synthetic picolinate) provides two of the major ingredients of benefit for glucose tolerance factor and they are chromium and niacin or nicotinic acid and they support normal glucose metabolism. Dietary chromium, which is obtained from whole meal cereals and some other grain products such as nuts, yeast, and seafood, help make up for the amount of chromium lost in food processing or cooking in products like refined flour or refined sugar which are used in the popular white bread found on most grocery store shelves. 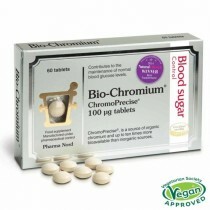 Essential for growth and metabolism, chromium helps in the processing of fats and sugars in the body while assisting in the maintenance of healthy cholesterol and blood glucose levels. 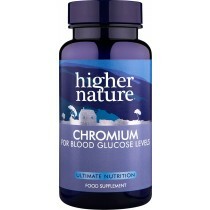 A component of the Glucose Tolerance Factor complex or GTF, chromium works well with hormone insulin in regulating carbohydrate metabolism along with the creation of a healthy glucose balance in the body.